While there are several options for bus travel, many backpackers chose to rent out campervans to explore the two islands on their own four wheels. You can eat, sleep, and party in your own little traveling home. Just be careful where you park, there is a growing movement in New Zealand against freedom campers. Check out Juicy, Wicked or Spaceship for rental options. After your first few nights eating out you will soon realize that this is the best way to shorten your holiday. The solution: Cook your own food. In order to travel with all that leftover pasta you will need Tupperware and if you want it to keep, purchase a $2.00 collapsible Coolbag from any local supermarket. It’s all in the name. You pack your own groceries and you save heaps of money. If there is a Pak n Save in town, make sure to stock up on the essentials as the price of groceries and toiletries in New Zealand are undoubtedly much higher than where you come from. Vodaphone may be the most visible phone company in New Zealand, but 2degrees is much cheaper with comparable coverage. Look for deals in Auckland outside of the airport and you can get a sim card to slide into your unlocked phone for virtually nothing. Don’t have a working visa but want to extend your holiday? Try wwoofing for a bit. World Wide Opportunities on Organic Farms hook up able bodies with local farms where you can work a few hours a day for food and accommodation. 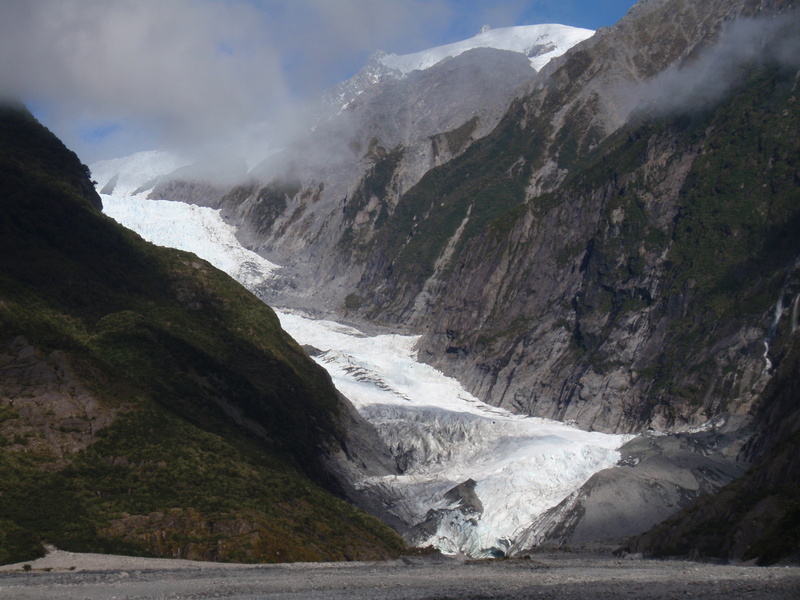 If you are headed to New Zealand on a working holiday, this is the best site to find work. While the more popular Seek and Trademe are also worth a glance, advertisers on backpackerboard are much more likely to hire those with temporary visas. However, if you’re looking for agriculture work, PickNZ.co.nz is the spot to find what’s in season and where. Everyone flocks to New Zealand in the summer but the best time to travel is the shoulder seasons (late spring and early fall). In the dead of summer, the country’s famed parks and beaches can feel like a zoo. Rates are high, accommodation is cramped, and activities are booked out. During the shoulder seasons, you can experience the best of New Zealand’s beaches and parks at lower rates with less crowds and all the facilities of high season. 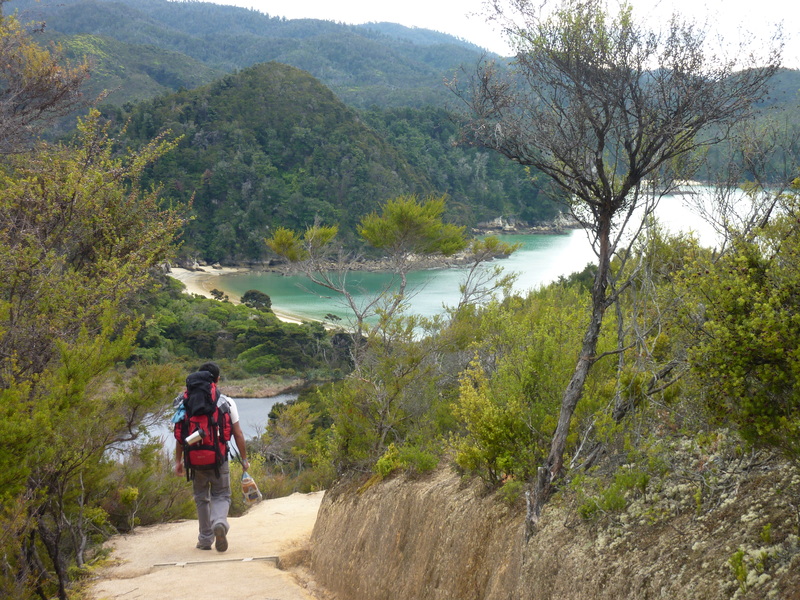 Even if you are not an experienced backcountry hiker, the tailor-made walks of New Zealand may change your mind. Home to several “great hikes,” you can tramp for a few hours each day and spend the night in surprisingly comfortable “huts” along the route. Great Walks aside, there are huts all throughout New Zealand (especially on the South Island) and they are an even cheaper alternative to hostels. This Budget Backpacker Hostels New Zealand card will set you back $45.00 but the savings will surely make it worth the expense. Used at over 350 backpackers (virtually every backpacker in New Zealand save the YHA and BASE chains), this card will save you around $3.00-$5.00 a night. Don’t get stuck in Auckland. If you only have a short time to spend in New Zealand, head south. The South is home to some of the country’s most spectacular scenery and there is a common backpacker route circumnavigating the Island that is easy to follow. Air New Zealand does cheap internal fights from Auckland to Christchurch and there are plenty of trains, buses, and rentals to take you from there. Heading down to New Zealand to backpack for three weeks in April… This post has been incredibly helpful! I’ve been wanting to make a trip to New Zealand for a while now, but haven’t had the time or money to organize everything. I hadn’t considered backpacking either, which seems like it’d be a cheaper (and frankly, more rewarding) experience. Thanks again for the post! The scenery looks amazing.